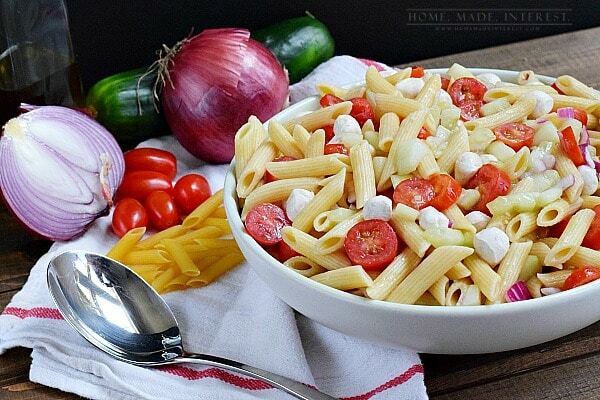 Cucumber and Tomato Pasta Salad - Home. Made. Interest. The secret to this Cucumber and Tomato Pasta Salad is beautiful summer vegetables. A great side dish for summer BBQs. I know I’ve said it before but I’m so glad warm weather is here. Summer is just around the corner and my mom has been working in her garden nonstop planting all of my favorite vegetables. I think that might be my favorite part of summer. My mom stops by the house every few days with an arm load of fresh, ripe tomatoes, cucumbers, zucchini…whatever came out of her garden that morning. I pretty much live on cucumber and tomatoes in oil and vinegar served with homemade bread (also supplied by my mom, she really is the best). 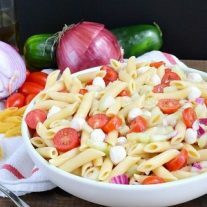 When we have guests over, or we’re just grilling out, I turn it into a pasta salad with a few simple additions. The recipe is really easy and it tastes better after it sits for awhile so it’s a perfect recipe to keep in the fridge for quick lunches and dinners. 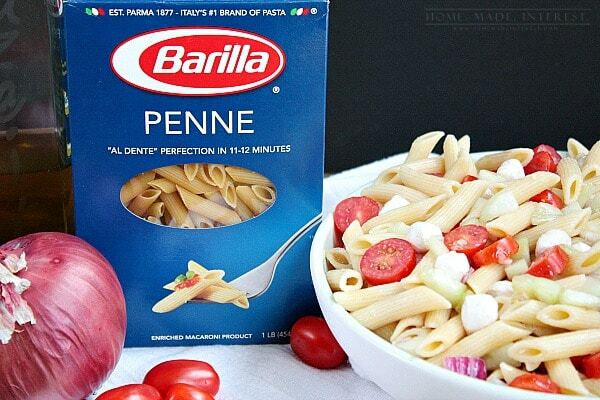 I use Barilla® Box Penne for my pasta salad because it is my favorite. I always grab a box of it when I’m at Walmart so my pantry is permanently stocked, but any of their pastas will work. If you’re going to feed a crowd, or you just want to have it to eat all week (or you have boys and food gets eaten as fast as you make it) go ahead and boil the whole box of Barilla® Box Penne. While the pasta is cooking cut up your tomatoes. I used grape tomatoes here because that is what I had on hand but once summer rolls around I’ll be using big beautiful tomatoes straight from my mom’s garden. Also cut up cucumbers and half a red onion. When the pasta is ready drain it and then add all of your veggies. Pour in olive oil and red wine vinegar. If you can get your hands on some Portuguese olive oil I think it is the best! Then add your fresh mozzarella. I used Perlini mozzarella balls. They are super-small mozzarella balls but if you can’t find them no big deal just get some fresh mozzarella and dice it up. Add a little salt to taste and done! Cover it up, put it in the fridge and you’re ready to go. I usually add a little extra vinegar and oil if it has sat for awhile because it tends to get absorbed into the noodles (which tastes amazing!) and makes it a little dry. A few splashes of red wine vinegar and it’s good to go. My mom is stopping by tomorrow and I’ve got a bowl of cucumber and tomato pasta chillin’ in the fridge so we can have a quick lunch together. Her garden isn’t in yet but I’m sure she’ll come bearing some gifts…homemade chouriço, fresh bread, a few tupperware bowls filled with whatever she’s been cooking. I’m so glad she didn’t stop feeding me when I got old enough to cook for myself! 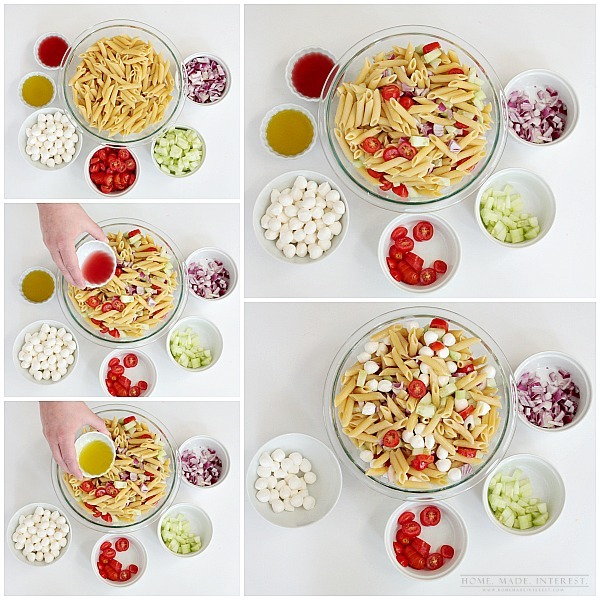 Below is the recipe to get you started but this pasta salad is all about taste. 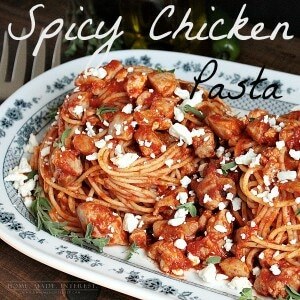 So add as much or as little of all of the ingredients until it’s just the right flavor for you! 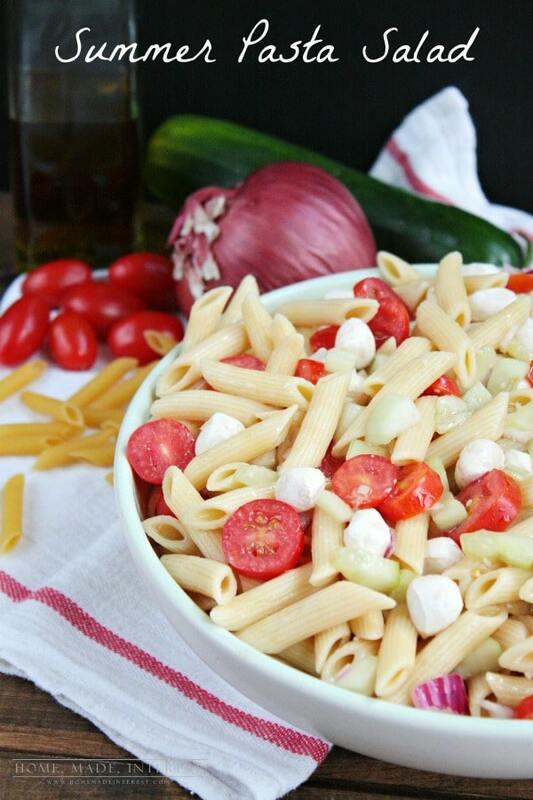 Fresh tomatoes and cucumbers are the key to this delicious pasta salad. Boil water and put your noodles in to cook. Once pasta has cooked add your tomatoes, cucumbers, and red onion. Pour in olive oil and red wine vinegar. Cover it up, put it in the fridge until ready to serve. 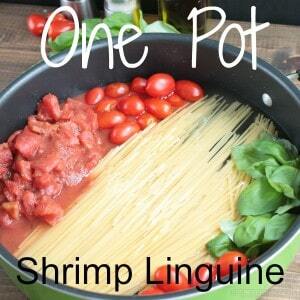 If you thought this recipe was good make sure you check out some of our other recipes made with Barilla® Pasta.